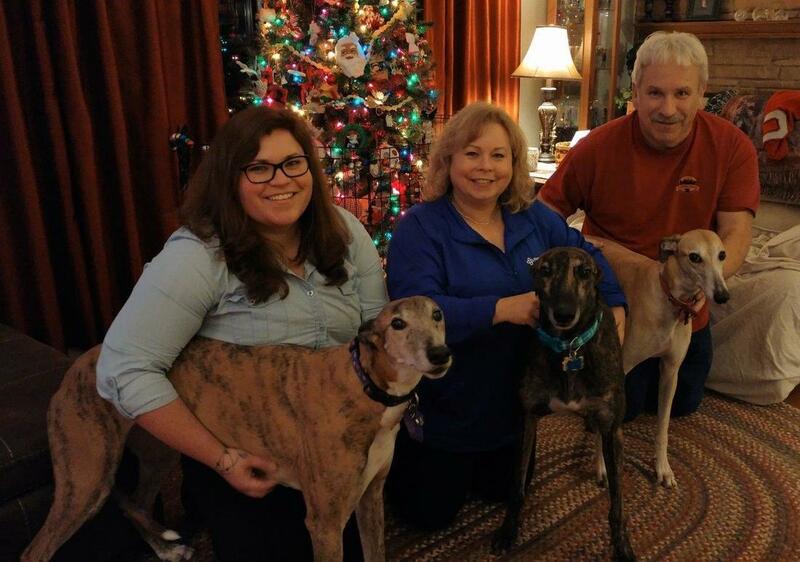 Leslie and Alan of Kettering (our Nature's Select folks) were fostering brindle Raggid Dream for GAGC. Leslie had fallen head over heels, and Alan noticed that the boy did really well with their female greyhounds Quita and Meera. He and daughter Kate agreed to surprise Leslie with an early Christmas present. Kate had a new collar, name tag, and a big bow ready to go. Leslie had a challenging day that day which made the surprise even sweeter. Raggid Dream is now Reggie Rags and he couldn't be happier with his new family. Congratulations to all!